Our job is to make your job easy. Below are some items we’ve collaborated on in the past. Don’t see what you need? Contact us today, we’d love to make your ideas come to life. We have partnered with Hall County Housing Authority to design its Annual Report every year since 2012. Below is the 2015 Annual Report. We worked with the client to recognize their employees working safely for 3 years with a water-resistant custom embroidered jacket. 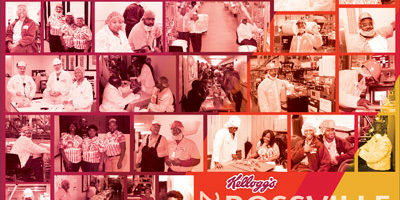 A custom calendar was created for the employees of Kellogg’s Rossville Plant. Using mainly photos taken while gathering news for their employee newsletter, News Link compiled a calendar for employees to reminisce all year long. A metal pin designed to compliment a BNSF Railway Chicago area summer safety booklet. 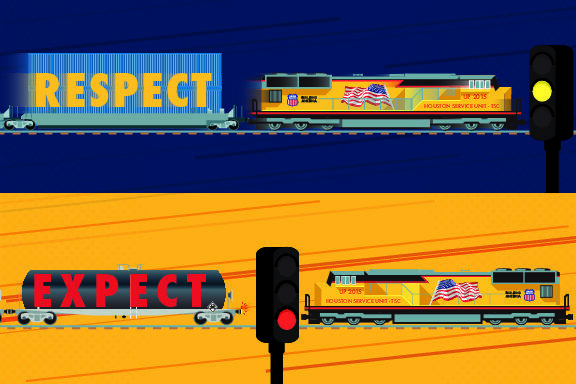 A pair of stickers designed to go with a Union Pacific-Texas location’s seasonal safety booklet.